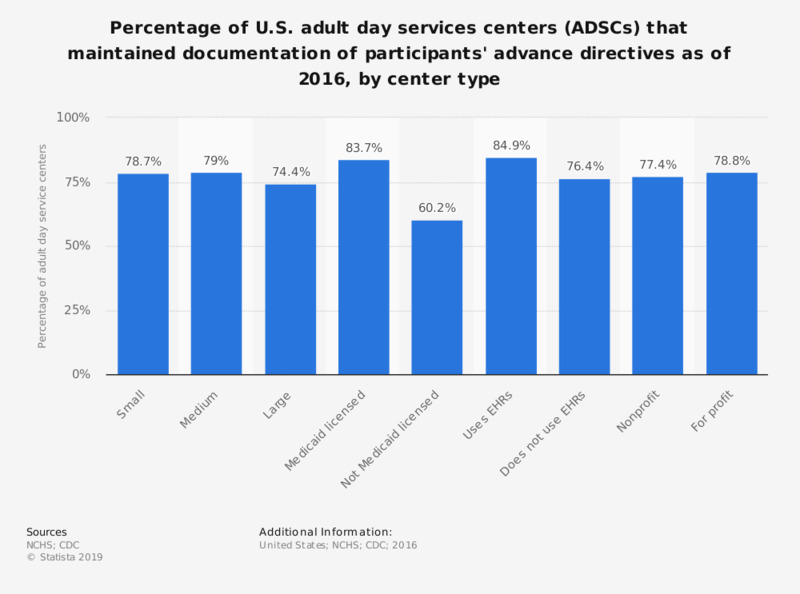 This statistic depicts the percentage of U.S. adult day services centers that maintained records of patients' advance directives as of 2016, by center type. According to the data, among centers that were not Medicaid licensed just 60.2 percent maintained records of patients' advance directives. Statistics on "Alzheimer's and other dementias"